What Are the Benefits of Having Primary & Secondary Medical? A single policy may not cover all of your healthcare needs. 3. Can Dental Premiums Be Deducted From Federal Taxes? Health insurance can prevent a financial disaster when you have medical problems, but is doesn't always pay your full expenses. Whether you have Medicaid, Medicare or a health insurance policy, you can buy additional coverage. Secondary policies pay those costs that your primary coverage doesn't pay. You can't collect double payments for the same medical incident, but you can collect payments for uncovered medical bills, prescriptions and even living expenses. All insurance coverage has limits. For example, you may have insurance that pays up to $100,000 in medical expenses. Once that amount is paid, you have no more coverage. This is where a secondary policy comes in. 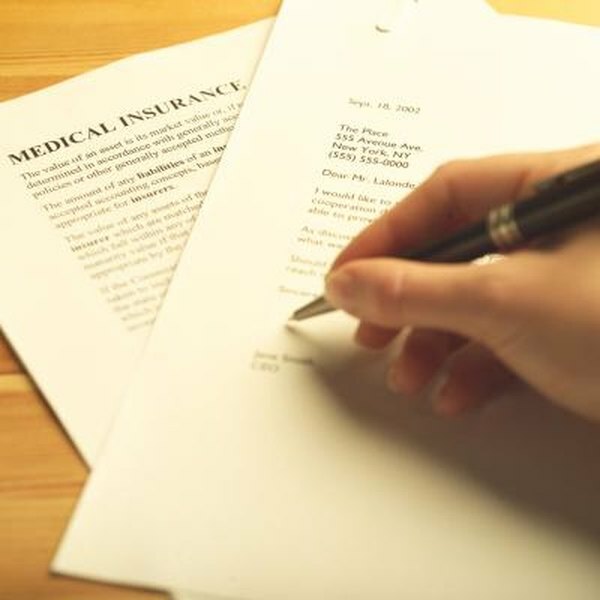 You can purchase a policy that pays medical costs above those of the primary policy. The primary policy pays first, and the secondary policy pays when the first policy's benefits have been exhausted. Also, you may purchase a policy that pays your household bills while you are recuperating. This can help you keep your residence and buy groceries. A primary policy does not help cover your living expenses. Secondary policies can cover your expenses for much more than your primary policy, but they do have their own limits. You should be aware of the limits on your secondary policy in the event of a catastrophic medical condition. That said, you will avoid having to use up your savings until you reach the limits of the secondary policy. Insurance companies work together to make sure they are not both paying for the same claim. Even though there may be an overlap in coverage, you will not profit by getting paid twice for the same medical expense. When you purchase secondary coverage, make sure that it fills in the gaps of your primary coverage. This provides you with a strong advantage because you will be able to pay all of your expenses, even if the primary coverage doesn't pay some of them. If you are covered by your spouse's health plan, secondary coverage can help you pay for medical expenses, living expenses and prescriptions beyond the coverage of your spouse's coverage. You cannot buy primary coverage for yourself and expect it to pay what is not covered by your spouse's plan. You must purchase a plan that you clearly designate as secondary, and make sure it will cover what your spouse's primary plan doesn't cover. You will have a great advantage if you also purchase a secondary plan for your spouse. In this way, you can protect both of you from expenses the original policy doesn't cover. Insurance Providers: What are the Benefits of Having Primary and Secondary Health Insurance Coverage? Can I Be on My Retired Spouse's Insurance? If I'm Covered by Medicare Should I Have Additional Health Insurance? Why Use First-To-Die Life Insurance? Can Married Couples Have Separate Auto Insurance? Are Portable Computers Covered Under Homeowners Insurance?